A diamond select release. 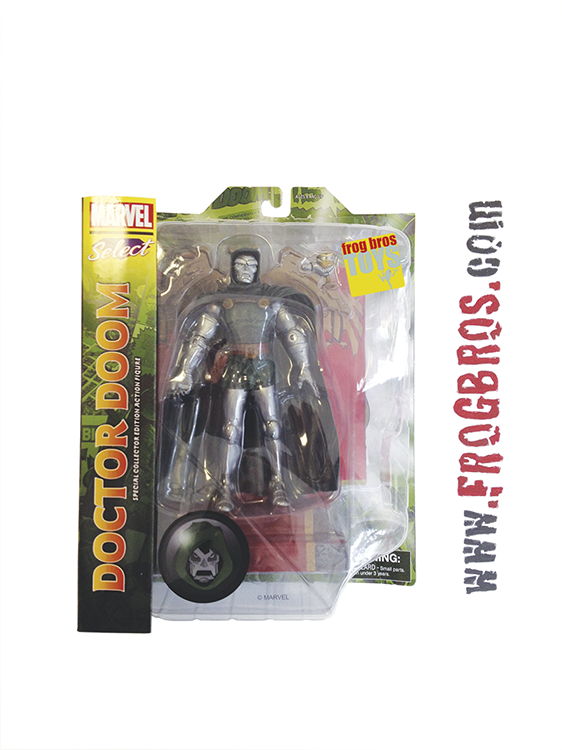 From the pages of Fantastic Four comes one of the Marvel Universe's most notorious villains, Doctor Victor Von Doom. Figure stands 7" tall and includes a detailed throne display base and variant hand. Deluxe blister card package. A diamond select release. One of Marvel Comics' iconic villains. Stands 7" tall. Includes throne display base and variant hand. Deluxe packaging.